A great place to stay in central Sydney! Location of our Hyde Park apartments in central Sydney. 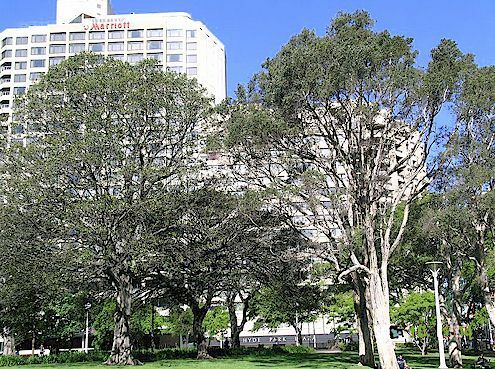 Our Hyde Park apartments building, next to the Marriott Hotel, viewed through the trees across Hyde Park, Sydney.